We’re b-a-a-a-ck . . . from our trip from Hawai’i. We’ll be meeting at Campbell Hall, in Sausalito, for this Friday’s Kanikapila, gathering at our usual time of 6:30pm to 9:pm-ish. 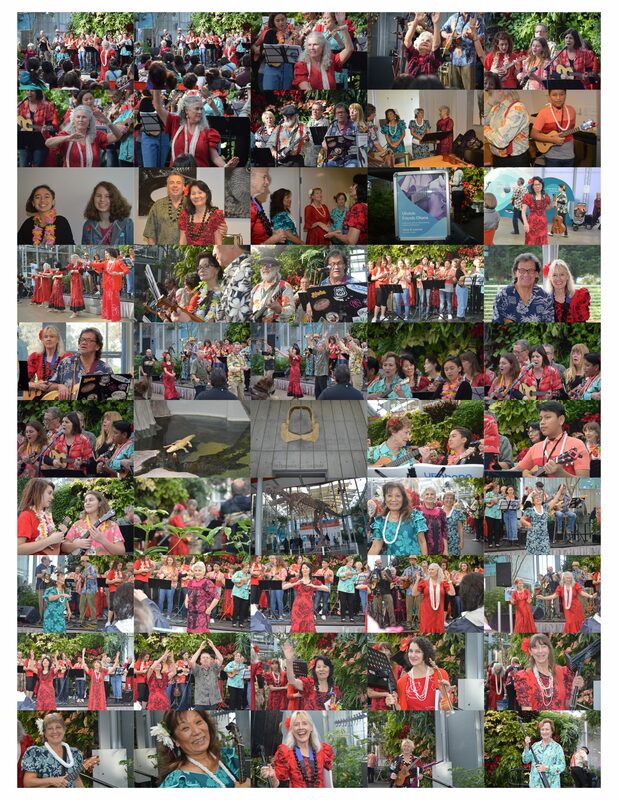 BYPotluck, BYMusicStands and that great ‘Ohana Style Aloha. No Saturday Kanikapila this weekend. Have a Great Fleet Week(end) everyone! On behalf of Linda and myself, we wish to send a very sincere Mahalo Nui Loa to Marion and Sandy for keeping the Kanikapila running during our absence and to all of you that helped with supporting the Shark-tober-fest Fundraiser. Brudda David was very grateful as well. We’re truly honored and blessed to be part of such a supportive and caring ‘Ohana. So, before we left we were invited to Kani at the Napa Valley Aloha Festival . . . click below to see images of that great event. Mahalo to the Manaleo ‘Ohana for hosting us! I know it’s kind of like having to sit in front of a slide projector of a family trip to Disne . . . well you know what I mean, for those of you with nothing better to do, click below for images from our trip. Ok, gotta do that 4 letter thing tomorrow . . . work, take care everyone. Hope to see you this Friday!